How hard could it be to become a champion golfer? When Maurice Flitcroft and his wife Jean acquired their first colour TV in 1974, he was immediately transfixed by the gentle swings of the players and the little white balls that plopped so softly onto the green. It all looked so effortless: a painless route to fame and fortune. So, buoyed by dreams of becoming the next Jack Nicklaus, Flitcroft sent off for a mail-order set of clubs and balls. There was no time to waste. When the balls arrived a week ahead of the clubs, he turned his mother-in-law’s walking stick upside-down to practise putting into coffee cups. 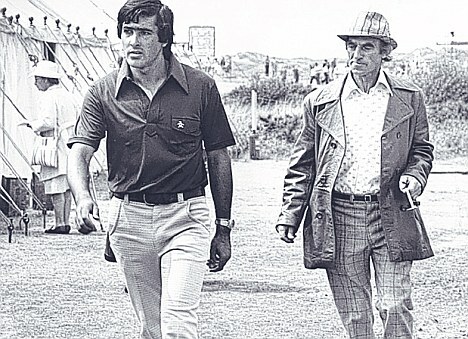 Then, two years later, in 1976, a brand-new ‘champion’ gatecrashed his way into the annals of British golf. For Maurice Gerald Flitcroft – otherwise employed as a crane driver at Vickers shipyard in Barrow-in-Furness, Cumbria – became world renowned by clocking up the highest ever score in the 116-year history of the British Open. Afterwards, upon being informed of this feat, his ageing mother asked: ‘Does that mean he’s won?’ A reporter gently explained that the whole point of the game is to achieve a low score. ‘Ah well, they all have to start somewhere,’ said Mrs Flitcroft. In retrospect, Flitcroft’s score of 49 over par, or 121 – a record that still stands – was not surprising. When he entered the British Open, he had never played a full round of golf. Golf club membership in Barrow-in-Furness was too expensive, so he’d practised at Sandy Gap on Walney Island – a wind-lashed stretch of golden sand that stretched as far as the eye could see. But this was for only two hours a day, after which the tide came galloping in and on several occasions nearly drowned him. Still, as Flitcroft’s friends remarked, it was the one place where he could be guaranteed not to accidentally hit anyone with his club. During the winter, he could be found on the local rugby fields in wellies and a bobble hat, whacking golf balls in the snow, hail and rain. To add to his troubles, his Alsatian dog Beau insisted on catching the balls in mid-flight. No one could accuse him of not trying. And, by God, did he try. Flitcroft looked an unlikely sporting hero. A long, narrow nose separated two bulging eyes and his mouth was so small that it was hard to detect the presence of any teeth. (Often he wouldn’t wear his dentures as he thought he ‘pretty much looked the same’ without them.) But his most striking feature were his ears, which protruded from his head like two halves of a radar dish. Home was a tiny gun-metal grey council house in which he lived with his wife Jean – a sweet-natured Brenda Blethynlookalike – and their twin boys, who would later take turns at being his caddy. No one in the family had ever played golf before. Nor had any of Flitcroft’s friends; it was as foreign to them as ice hockey or polo. 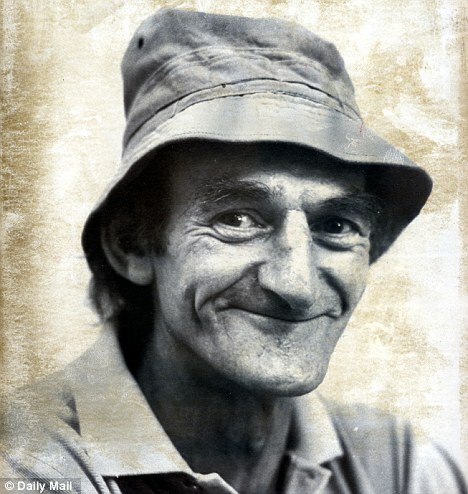 But it is only fairly recently, after Maurice Flitcroft’s death in 2007, that the full story of his incredible escapades has been told, in an entertaining new book. Authors Scott Murray and Simon Farnaby had the help of his unpublished memoirs and the testimony of his long-suffering friends and family – who, despite (or, perhaps, because of) the many embarrassments they witnessed him endure, seem to have adored him. His march towards the headlines began in the mid-Seventies, after he started learning to play with the help of books from the local library. In one of them, he found an address for the organisers of the British Open – and his pulse quickened. The championship was called the Open, Flitcroft concluded with impeccable logic, because it was open to anyone. But the entry form from the Royal & Ancient Golf Club of St Andrews, which runs the annual Open, stumped him. To enter as an amateur, he would have to submit a certificate showing he had a handicap of one or less. But, luckily, professional golfers didn’t have to submit anything. Nor did they have to be ‘attached’ to a club. Soon, confirmation arrived by post that Maurice G Flitcroft, 45-year-old virgin professional golfer (unattached), had been chosen to play at Formby Golf Club, near Liverpool, in one of the five qualifying tournaments for the Open on Friday, July 2, 1976. Four months later, he arrived with minutes to spare and had to change from wellies to his tattered (plastic) golf-shoes in the car park. Red-faced under his blue fisherman’s hat, he scampered to the first tee just in time to hear his name being announced. Another player, Jim Howard, described his first shot: ‘The club came up vertical and went down vertical – it was as though he was trying to murder someone.’ His ball sailed through the hazy summer sky and landed just 40 yards down the track. There followed several encounters with bushes and sand-banks, but he comforted himself that even Greg Norman and Seve Ballesteros miscalculated a few shots. There were also cries of alarm when Flitcroft’s shot narrowly missed a couple of competitors. After finally staggering off the 18th green, he did some rapid maths and worked out that to qualify for the Open, he’d have to compensate for his abysmal 121 round by shooting 13 holes-in-one the next day. It was time to go home. Meanwhile, news of Flitcroft’s recordbreaking round had reached the man who ran the Open – Keith Mackenzie, secretary of the R&A and a former major of the Gurkhas. Furious to learn that an imposter had broken into his fiefdom, he immediately ordered that Flitcroft should be kept away from the press. Three days later, Mackenzie wrote to the English Golf Union pointing out that as Flitcroft had declared himself to be professional, he was now unable to join any club as an amateur and should be debarred. It was a masterstroke. As Flitcroft could not join a club as an amateur, he would never be able to gain the handicap needed to go professional. Flitcroft was shattered. He felt, he confessed in his memoir, that he had been made the victim of a terrible injustice, born of class prejudice. As time went by, this increasingly rankled. He hid behind a fake handlebar moustache. So he decided to hell with pompous golf officials, he’d enter again. This time, he used a pseudonym, James Vangene, on the entry form – only to pull out of the competition after his fibrositis started playing up. The following year, he entered as Gene Pacecki and was drawn to play in a pre-qualifying round at South Herts Golf Club. But Flitcroft was having a bad year. His employers, less than happy to read about his triumph at the Open when he was off sick with a heavy cold, had demoted him from cranes to boiler room duties. When Flitcroft was, in his own words, ‘forced to challenge the authorities about conditions in the boiler room’ they sacked him. Still, that meant more time to practise. Every day, he sneaked into the lush cricket field of Park View school, less than half a mile from his home, where he tore up divots and enraged the school janitor. Eventually, he moved onto the football pitch. Soon, packs of children started gathering to hurl abuse, along with boiled sweets, sticks, mud and stones, at him during their breaks. One day, suffering another attack, Flitcroft raised his four-iron in the air and made a frenzied charge at his aggressors. But they soon crept back to goad him – watched by teachers sipping tea at the windows. There followed weeks of pitched battles as Flitcroft, 47, desperately attempted to improve his game. He started waking up at night, sweating. The slightest noise would make him spin on his heels, half-expecting a catapulted pebble. But he made it to the 1978 Open qualifiers – albeit in the guise of Gene Pacecki, for which he’d grown a huge handlebar moustache. Despite looking like a low-grade pimp, he played four holes before being told that his ‘poor form’ was affecting the other competitors’ chances. Flitcroft was gratified to have his £35 entrance fee refunded. In 1980, Pacecki was ready to compete again – in the final qualifying round at Gullane Golf Club, near Edinburgh. Arriving the day before with his son James, Flitcroft got lost and pitched his tent in the dark on an open stretch of land. The next morning, when he popped out in his Y-fronts to do his stretches, he was surrounded by officials with walkietalkies. He had pitched his tent on the golf course. A migraine put paid to his chances that year, but 12 months later he turned up at a qualifier at South Herts golf club. As his strokes grew ever wilder, word spread that a madman was playing in the Open. Again, one of the blazers escorted Mr Pacecki off the course. By then, Mackenzie – alerted by Pacecki’s soaring scores – had put two and two together. To ensure that Flitcroft never entered the Open again, he sent him a telegram turning down Pacecki’s new application and followed it up with a blistering letter. Enter the up-and- coming Swiss professional, Gerald Hoppy, who was accepted for the regional qualifier at Pleasington, near Blackburn, in 1983. On the morning of Flitcroft’s fourth Open attempt, he clamped a deerstalker on his head and glued a drooping moustache to his top lip. Alas, Hoppy/Flitcroft’s game went from bad to worse. And it was noted that his caddy (his son Gene) was wearing ordinary shoes and carrying a shiny red golfbag – as well as what looked suspiciously like a handbag. When Mackenzie learned that his nemesis was yet again sullying his greens, he exploded. Another letter was quickly despatched, this time threatening legal action. Flitcroft – who’d by now been fined £50 in the Barrow Magistrates’ Court for playing on school property – refused to be cowed. He wrote back, accusing the Open set-up of being ‘too autocratic, too hide-bound by conventions, not to mention upper-class snobbery and conservatism’. And so he carried on. Growing bolder, Flitcroft started writing to car manufacturers to ask for sponsorship ‘as it takes me 40 minutes brisk walking to get to and from my place of practise’. But one after another, Ford, Rover, Volkswagen, Talbot, Renault and Peugeot all politely declined to have their brand associated with the world’s worst golfer. Also turned down was a Flitcroft challenge to the secretary of the R&A to a golf duel. In truth, though, he was getting older and his passion was starting to wane. Which is what made the letter that arrived one day in 1988 from America seem all the more like a miracle. 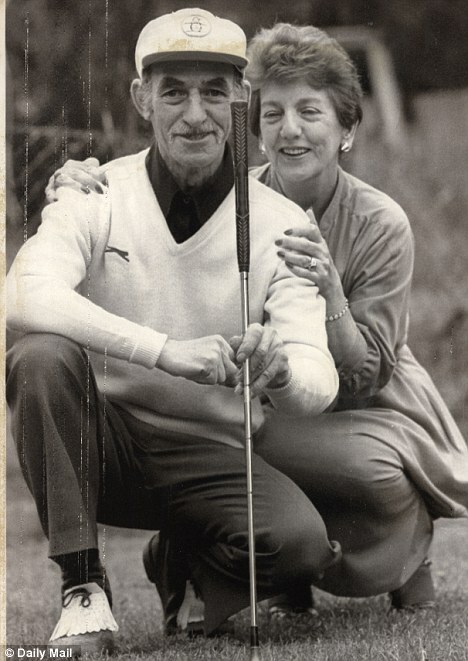 The organisers of a golf tournament in Grand Rapids, Michigan, had been following the Flitcroft odyssey from afar and wished to invite Maurice and his wife, Jean, as guests of honour – all expenses paid. Flitcroft was beside himself with excitement, though uncomfortably aware that he needed new golf clothes and a suit. The heavens smiled on him again, however, when Jean suddenly won a whopping £300 at bingo. At the age of 58, he was about to embark on his first ever aeroplane flight and his first holiday abroad. The airline managed to lose all the Flitcrofts’ luggage, but nothing else could mar their fortnight of bliss. At Grand Rapids, they were put up in a luxury suite at the Marriott hotel, given the keys to a gleaming white limo and presented with three silk ties, six crystal tumblers embossed with leaping stags and £600 donated by members of Blythefield Country Club. Naturally, as guest of honour, Maurice Flitcroft – unemployed crane driver from Barrow – was asked to take the opening drive of the tournament. He glanced at the TV cameras and waved to the hundreds who had come to see this ‘golfing phenomenon’. Then he walked slowly to the tee. ‘It was a huge moment for him,’ recalls Terry Kirkwood, a close friend. ‘Everyone was wondering what sort of shot he’d hit off the first tee. With the cameras rolling and the crowds watching, he could have been forgiven for topping it 20 yards. But he didn’t.’ Maurice would always recall what happened next as the apogee of his golfing career. ‘I got set, swung my driver and hit a super tee shot straight down the middle of the fairway – approximately 225 yards,’ he wrote in his memoirs. There was a sudden hush. Had the good folk of Grand Rapids been palmed off with an imposter? Could this really be Maurice G Flitcroft, of British Open renown? In other words, the Phantom of The Open was once again back on form. Maurice Flitcroft: Phantom of the Open is available to buy here. Inspired by Seve, The European Tour’s youngest winner shows them how it’s done in Sunny Spain. It was a sunny Sunday afternoon just like every other at the Club de Campo del Mediterraneo and the golfing history books were out, not for reference, but to be rewritten. Host to the Castello Masters and the place where Sergio Garcia learnt his trade, Italian golfer Matteo Manassero finished strongly and was crowned a European Tour tournament champion yesterday, becoming the youngest ever winner on Tour at 17 years and 188 days, beating the previous record held by New Zealander, Danny Lee, of 18 years and 213 days. This victory has seen Matteo become the youngest full European Tour Member – beating the previous record of his golfing idol Seve Ballesteros who achieved this feat in 1974 aged 17 and 200 days. Optimal caught up with Matteo recently at the Dunhill in St Andrews and he was quick to tell the Seve Ballesteros Golf Academy (www.SeveAcademy.com) how much of a hero and an inspiration he is to him and was happy to “swing for Seve” and pass a message to the golfing great. 2010 has been a fantastic year for the young Italian. From becoming the youngest player ever to make the cut at the Masters, and finishing inside the top 50, to turning professional in May, he has amassed €641,000 from 15 tournaments and moved into 43rd position on the ‘Race to Dubai’, giving him the chance to play in the illustrious Dubai World Championship presented by DP World, played around the Jumeirah Golf Estates on November 25-28. A win here would give him a 5-year Tour exemption and a healthy pay cheque of €1.125 million. All that stand in the way are fellow supporters of the Seve Academy: World Number 1 contenders, Martin Kaymer (the current leader of the Race to Dubai), Lee Westwood (defending champion of the Harry Vardon Trophy, and US Open winner, Graeme McDowell! However, if Manassero performs as he did on Sunday, this might present very few problems. Rounds of 68,66,67,67 saw him haul-in and overtake overnight, leader, Gary Boyd, to win by a convincing 4 strokes. The young Italian achieved this feat by hitting fairways and greens and vitally, holing putts. He achieved this through steady performance in all disciplines. Although not the Tour’s longest or most accurate hitter – some way down the official European Tours stats list, with the eyes of Optimal’s launch monitor, he managed an average driving distance of 287.3 yds, with 64.3% accuracy, the 5th best in the field over the weekend. He hit 79% of greens, and was very high up the putting stats with an average of 1.646 putts per green! Standing proudly behind Matteo is Alberto Binaghi, former European Tour player, a member of the Italian Golf Federation coaching staff and all-round advocate of performance analysis technologies. Binaghi has several of the world’s best and up-and-coming players under his wing, including the Molinari brothers and even finds the time to carry the bag for Manassero for the bigger events!Coaching aside, this amazing achievement has signified Matteo Manassero’s arrival, proper, on the European Tour, and made many of his colleagues look up and notice the wonder-kid they label as the next Seve.For more information on the Seve Ballesteros Golf Academy, including a chance to view Matteo Manassero’s support for Seve, alongside that of other top European Tour players, please visit www.SeveAcademy.com.For further information on Optimal Analysis, performance analysis, video analysis, launch monitor technologies and online academies, please visit friends in golf at www.OptimalAnalysis.co.uk or call 0131 510 0210.